Here is Gary with Jessica Modrak, Jessica was the winner of the most money raised at the event.As a reward, Gary invited her to train for a week end at Gary’s Swim Race Club in Islamorada, Florida. If you are interested in conducting a swim-a-thon, US Swimming has guidelines you must follow. Below is an article from US Swimming on swim-a-thon I hope it helps you. Swim-a-Thon is a fundraiser in which participants earn money for their team by swimming lengths of the pool. Swimmers have a two-hour period to swim a maximum of 200 lengths. Participants get pledges from businesses, family, neighbors, etc. prior to swimming. Some choose to get pledges and money prior to swimming while others get pledges per length and collect the money following the Swim-a-Thon. With over 500 Swim-a-Thons conducted each year, this program has proven itself over and over again as a successful method of raising funds for teams. The exciting benefits of this program are that Swim-a-Thon is not only an excellent fundraiser, but also an opportunity for teams to combine swimming and a social event. Additionally, Swim-a-Thon can boost team spirit and increase community awareness of the team. Since USA Swimming owns the Swim-a-Thon trademark, organizations must sign a contract agreeing to certain conditions regarding use of the term Swim-a-Thon, how a Swim-a-Thon is run, the collecting of donations, etc. 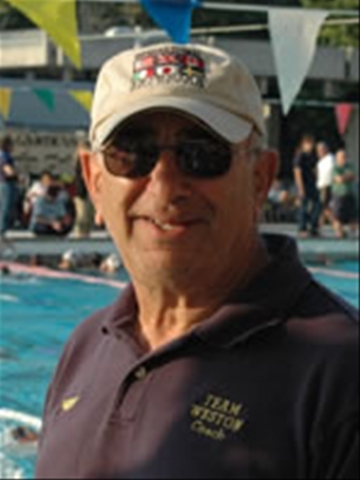 Once a club completes the contract, USA Swimming supplies a detailed 30-page handbook that contains forms, promotional materials and all that is necessary for conducting a well-organized fund-raising event. Swim-a-Thon is the only pledge for length swimming program recognized by USA Swimming and USA Swimming insurance. Swim-a-Thon is a registered trademark owned by USA Swimming. Holding a Swim-a-Thon without a contract would be a violation of this trademark. Any other type of swim for laps, lap-a-thon, etc. is also considered by the courts to be a violation of the registered Swim-a-Thon trademark.